What are three things that you think of when imagining the perfect vacation? 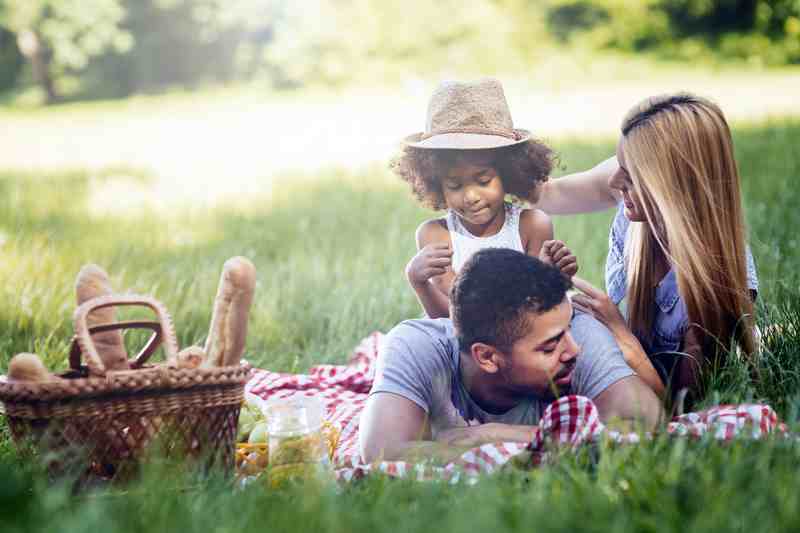 You may have considered all of the usual suspects for your summer vacation—crowded beaches, theme parks and destination cities—but spending your summer away from the hustle and bustle can create the best and brightest memories of your time with your friends and family. Before you settle on a big box vacation, take another look at a Helen, Georgia cabin rental, surrounded by all of the serenity and beauty of the Appalachian Mountains and the Chattahoochee River. It's a destination that's so relaxing and fun that you won't want to leave. 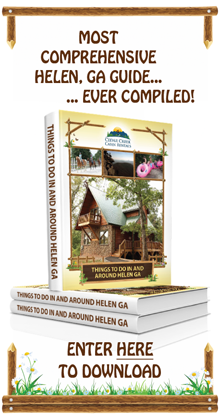 Located in north central Georgia, Helen offers hiking, fishing, wineries and some of the most scenic landscapes in the south for couples, friends, and families. When it comes to your vacation, should the size of your group really matter? Why should you have to sacrifice comfort and luxury just because you have a larger family or group than others? Fortunately, our lush cabin rentals allow you the opportunity to enjoy the finer things in life - regardless of how many people you're traveling with. Whether you are looking for the perfect destination for a quiet couple's retreat, a location for a weekend getaway with your friends, a family vacation spot, or a place to hold a big family reunion, we have you covered. Are you looking for a place to go where you can have some quiet time alone with that special someone? The last thing that you want is to bunk up in a crowded hotel where you have to deal with the sounds of other guests and share meals with them each day. What you need is a space that is truly private and totally your own. Cedar Creek Cabin Rentals are the perfect solution. You can pick from one of the many single bedroom cabins which offer you the intimate and cozy accommodations that you crave for reconnecting with your best girl or guy. Enjoy private conversation in front of your cabin's fireplace, in your own hot tub or Jacuzzi bath, or even over a breakfast that you prepared in your rental's kitchen. The best part is that you can receive luxurious accommodations like these for a similar cost to a small hotel room! Recommended cabins for couples: Oasis, Radiance, Great Escape, Dreamscape, Pure Gold, and Destiny. Sometimes you just need to get out of town and do something new and fun with your friends, and the cabin rentals in Helen, GA are a fabulous place to go in order to experience that change of pace. Whether your party consists of groups of couples, singles, or a mix of both, you'll be able to find the ideal accommodations in cabins with up to five bedrooms that can sleep as many as twelve individuals. After a day of hiking, mountain biking, kayaking, tubing, or embarking on an adventurous zipline tour, you and your friends and settle down and enjoy a movie on your flat screen TV, tell stories and roast marshmallows around your private fire pit, hang out in the hot tub with a bottle of wine from Habersham Winery, play pool or ping pong in your game room, and so much more! Say goodbye to the kid's endless bickering and poking each other in the ribs as they are forced to share a bed each night of your vacation. Finally, you'll be able to enjoy a trip where everyone has their own bed, and Mom and Dad can enjoy the peace and quiet of their own bedroom! You'll have all of the room that you need to spread out and have some privacy so that in the hours that you spend exploring northern Georgia together, you will all be in the best of spirits and ready to laugh, play, and bond together. And instead of paying through the teeth to feed a family of five at a restaurant each night, why not cook up your own meals in your cabin's fully equipped kitchen? The money that you save can go towards another cool attraction or some fun souvenirs to take home with you and remember your fabulous visit to Helen, GA. Recommended cabins for families: Tranquility One & Tranquility Two are perfect for families who want the kids in a separate section. Our properties located nearby are suitable for family reunions! No, we don't expect 50 people to all stay in one cabin, but we do offer blocks of cabin rentals so that families can all enjoy their own private rental while also being able to come together and enjoy northern Georgia together! Daytime excursion options are unlimited for visitors to the Appalachian and Blue Ridge Mountains. Nearby Helen, Georgia is much more than a small town on the outskirts of a big forest. It’s a place where celebration and nature go hand in hand. It’s a place where you’ll build memories of shopping for unique Southern antiques, tasting a hot-out-of-the-oven peach pie for the first time and learning first hand how the Gold Rush changed the Georgia mountains forever. If small town life isn’t to your liking and you prefer to make your memories out in nature, the surrounding mountains, forests, rivers and waterfalls of Helen, Georgia cabin rentals will fulfill your every dream for your vacation. Our Helen, Georgia cabin rentals are located throughout the Appalachian Mountains, providing you instant access to the best that Mother Nature has to offer and plenty of ways to make memories with your family or on your own. Hikers, bikers, horseback riders and off-road vehicle enthusiasts will never forget the hundreds of miles of trails available to them through mountains, meadows, stream beds and forests. The Chattahoochee National Forest provides 730 miles of hiking trails, 141 miles of biking trails, 112 miles of off-road trails and 248 miles of horseback riding trails. With more than 1,000 miles of trails to explore, every day in these mountains brings a new adventure and new opportunities to make memories of a lifetime. After a hot day on the trails, there’s no better way to enhance memories of your trip than by cooling off on the Chattahoochee River. Whether your favorite water sport is fly fishing, kayaking or taking in the sites from a lazy-day tubing adventure, there’s no need to look, drive or fly anywhere else. The area is home to multiple water and adventure guide companies who both rent equipment and provide half and full day excursions to those who want to explore everything the Appalachians have to offer. Even the toughest outdoorsmen (and women) need time to relax and some of the best memories of your vacation can be made right inside your Helen, Georgia cabin rental. From watching the birds and wildlife over breakfast out on your verandah in the morning to singing songs around the campfire and roasting marshmallows and hot dogs under the stars, these peaceful mountains offer relaxing alternatives to your daily lifestyle at every turn. A relaxing walk along the streams that branch off from the Chattahoochee River will lead you to monuments of beauty like Anna Ruby Falls, a 150-foot, pristine blue waterfall located in the Chattahoochee National Forest. Outdoor sports enthusiasts will find a myriad of opportunities to enjoy the scenic beauty of northern Georgia in the Helen area. The abundance of wildlife in the mountains of Northern Georgia means that you’ll likely to have several encounters with the animals of the area during your stay in Helen, GA. If you stay in a cabin with a covered porch, you could just sit there and watch the animals come out of the woods and go about their lives. You could also observe them from your covered patio while you lounge in your hot tub.There’s a lot of deer roaming around the area, so you’ll probably see a couple during your vacation. Black bears call the mountains home as well, but they generally stay away from humans. If you luck out and see one, just appreciate that you got the opportunity and keep your distance from them. You might spot a few wild turkeys traipsing around the forest, along with squirrels, chipmunks, and opossums. When it gets dark, be on the look out for bats flying above and raccoons running around on the ground below. Foxes and bobcats are more stealth, but if you keep your eyes open and go outside a lot, you could catch sight of one or two. Venture out to a creek or river and you’ll find many wildlife there as well. Look for beavers, river otters, ducks, geese, and gorgeous kingfishers near the water. Go on a hike and keep an eye on the sky to find owls, hawks, eagles, and ospreys. There’s nothing quite like seeing a beautiful creature out in the wild. It’s like a glimpse into another world and another way of life. The best time for wildlife encounters is in the early morning and in the evening. As always, be sure to give them their space and don’t be tempted to feed them, which could lessen their fear of humans that is so essential to their survival. The Chattahoochee River is a big part of the scenery in Helen, so make plans to enjoy a day or two at the river. The water is fresh, the fish are plentiful, and the hiking trails are not to be missed. The cool, clean waters of the river are a popular destination for both tourists and locals alike. You can find several locations near the river that will provide you with raft, canoe, kayak, and tube rentals. Paddle or float your way down the river and relax as the beautiful scenery and native birds pass you by. If you like to fish, the Chattahoochee River is a great place to catch several species of fish, including but not limited to trout, bass, and catfish. However, trout is the main attraction of the river. You can join a guided wade fly fishing tour group if you’ve never tried fly fishing before. It’ll be an experience that you’ll always remember. The hiking trails along the Chattahoochee River are both beautiful and accessible to everyone. The trails are easy and you’ll be doing a lot more walking than hiking, making them suitable for families of all ages. If you’re looking for a bit more adventure, there are boulders and caves in the area to climb around. Panning for Gold - Gold panning is one unique activity that's especially suited for those visitors in a cabin rental. Helen GA and the surrounding area was the site of a gold rush in the late 19th and early 20th centuries, and there are still gold mines in the region. Many welcome visitors to try their luck panning in the streams. Horseback Riding - Sitting atop a horse gives you a different perspective of the north Georgia landscape. Whether you are a novice or a seasoned rider, the stables in the Helen area can accommodate you. Appalachian Trail. The 2,184-mile Appalachian hiking trail, a contiguous, scenic trail that connects Georgia with Maine, begins just outside of Helen. If you've ever thought of challenging yourself with hiking a section of the Trail, Helen makes a good home base. Galleries and Museums - Think galleries and museums are only located in big cities? Wrong! Helen is home to a number of art galleries, most of which are devoted to local art, such as the Folk Pottery Museum of Northeast Georgia, Willows Pottery and the Dahlonega Gold Museum. Dining - One needn't go hungry in Helen. For those in Helen GA offers a good selection of eateries...and not all of them are German. Local favorites include Paul's Steakhouse, La Cabana Mexican Restaurant and the Wurst House for excellent bratwurst, knockwurst and kielbasa. Shopping - Helen's Alpine-style central shopping district features a collection of unique, locally-owned shops. Among these are The Amish Red Barn for hand-made items from Ohio and Pennsylvania's Amish communities; Betty's Country Store for a little bit of everything; and Hickory Flat Pottery for locally-made ceramic items. Wineries - There are eight wineries in and around Helen, including Habersham Vineyards, one of Georgia's oldest and most respected wineries. Most are wineries feature tasting rooms where you can sample the house wines for a nominal charge. Relaxing - Some of the best days in Helen are spent relaxing with a good book or newspaper outdoors. Alpine Helen Mini Golf - This incredible 18 hole mini golf course is a marvel to look at, and is conveniently situated in Alpine Helen near the cabin rentals in GA. Bring out your competitive spirit and enjoy a round or two with your family. Food & Drinks - Helen is also a great area to enjoy many local restaurants. For visitors looking to sample different fare, the Old Bavaria Inn Restaurant offers delicious German cuisine. Meanwhile, the North Georgia Barbecue Company is a great place for families to enjoy mouth-watering southern cooking. Shopping - Helen is also close to many towns featuring eclectic shops. Corks & Crumbs is an excellent place for guests to sample speciality wine paired with food while families will enjoy the Mark of the Potter in nearby Clarkesville, which features a local potter working outdoors every weekend. Oktoberfest: Helen's Best Season - For a festive fall season in Helen, GA, Oktoberfest runs from mid-September to early October; the longest-running such festival in the southern United States. Helen's Bavaria-inspired downtown shopping district erupts into a three-week street party for Oktoberfest and features polka dancing, live music and German food like potato pancakes, schnitzel and strudel. There's even an elaborate parade with decorated floats and costumed marchers that culminates in the tapping of the beer keg. From the moment that you walk into our luxurious cabin rentals in North Georgia, you'll feel truly at home. You will have your choice from cabins which can accommodate various numbers of people with multiple bedrooms and loft spaces. Both enjoying the privacy of your own room, and extending the luxury of having individual beds to your kids go a long way in making your extended stay both comfortable and relaxing. It is always disappointing to walk over to your hotel window to check out your "view", only to discover that all you will be seeing is the air conditioning unit on the roof of the building next door. When you choose to stay with Cedar Creek Cabin Rentals you will be able to customize your own unique view. Select from mountainous scenery, babbling brooks, vast timberland forest, and even your own private waterfall. And while you will have panoramic, 360 degree views of the nature around you from your cabin window, you will also be able to enjoy the sights and sounds from a porch or patio. It is an ironic truth that you will find yourself experiencing "cabin fever" when staying in a small hotel room, but you won't ever have this feeling when you stay in one of the luxury cabin rentals in GA. Featuring spacious floor plans and multiple levels, you will even be able to lounge in a living area and watch movies on a big screen TV. You may choose to opt for a cabin that includes a game room as well. With your own fully equipped and modern kitchen, you can even whip up a home cooked meal to enjoy with your loved ones. In addition to the creature comforts that you would experience at home, you will also delight in the lush amenities included with your cabin. On cooler nights, or to create a romantic, intimate feeling, you can enjoy curling up next to your cabin's fireplace. Whenever you are in need of a little extra rest and relaxation, you can settle in for a nice soak in your own private hot tub or Jacuzzi bath. Your options are truly limitless when you stay in one of our mountain cabin rentals. Have you been having as much fun with your kids as you would like? As many parents know all-too well, the years fly by, and your children grow up too fast. Because of this, it's very important to embrace the time that you have, and create happy memories that will last for a lifetime. By planning a vacation in the cabin rentals in GA, you will be able to play, explore, and grow closer to your nearest and dearest, so that you can always look back on those moments and remember the love that you have for one another. Don't let your vacation time waste away by catching up on household chores or sitting around watching TV. You can do those things anytime, but the experiences that are to be had in northern Georgia are something special. During your stay in in Helen GA, you'll be close to numerous attractions that will enable you to do something new together. There's nothing that gets the kids more excited and full of smiles than seeing Mom and Dad try out something that they never imagined possible. Imagine the look of surprise on your child's face as you get strapped up to a harness and enjoy an exciting zipline tour over the gorgeous Sautee-Nacoochee Valley. Or what about making the decision to take a fly-fishing lesson as a family at Unicoi Outfitters, or creating your own souvenirs by painting ceramic plates, vases, and more at The Willows Pottery? These are the experiences and moments in time that are made into lasting memories. We all need a little change of scenery from time to time, and there's no better place to go for beautiful views than northern Georgia. Whether you are out hiking on a trail, or are simply having a family dinner on the porch of one of the cozy cabin rentals, you will have the opportunity to gaze out onto breathtaking sights that you will never forget. From your cabin, you can choose to stay in a wooded area where you may try to spot deer, fox, or wild birds, or you could choose to rent a vacation home with a mountain, waterfall, or creekside view. And wherever your journey in the Helen area takes you, you're sure to stand in awe of the panoramic views of mother nature's creation. Numerous local waterfalls can be seen in nearby state parks like Unicoi and Amicalola Falls, and you can even journey up to the highest point in Georgia without straying too far from your cabin. Brasstown Bald, which is located at the top of the Richard B. Russell Scenic Highway, will allow you and your family to see Georgia, North Carolina, South Carolina, and Tennessee from on top of the world. If your family is a bit adventurous, you're in luck. You'll find plenty of ways to get your adrenaline rushing in the area surrounding the cabin rentals in GA. For many visitors, a stop at Wildwood Outfitters for a kayak and equipment rental is a "must". You'll be able to work with your family as a team to paddle down the Chattahoochee River. Regardless of whether you are complete newbies or are experts, the folks at Wildwood will set you up with the right section of the river - from peaceful and calm to wet and wild, with class 2-3 rapids. Other thrill-seeking families may enjoy rock climbing and rappelling in nearby areas, or mountain biking. No matter what you do, though, you'll never forget your Georgia adventures. The cabin rentals in GA offer lush amenities that will enable you to relax and unwind with your family in style. Because the vacation homes have multiple bedrooms and can sleep up to 12 individuals, everyone will be able to enjoy some privacy, so that there won't be any bickering - only happy times. You probably won't want to remain behind closed doors, though, because the cabin's common areas have so much to offer. You can cook up your own meals in your fully equipped kitchen, challenge each other to a game of Foosball in your game room, pop in a DVD on your flat screen TV, or roast hot dogs and marshmallows around your fire pit. At the end of the day when your feet are tired and you need some rest, you can recuperate by taking in a long soak in your private hot tub or Jacuzzi bath. You'll always remember how pampered you felt, and how easy it was for you to bond with your family. With a wide variety of activities to participate in, guests are sure to find something that will appeal to all members of their family. Have you ever stayed in a cabin while on vacation? Tell us all about your experience!